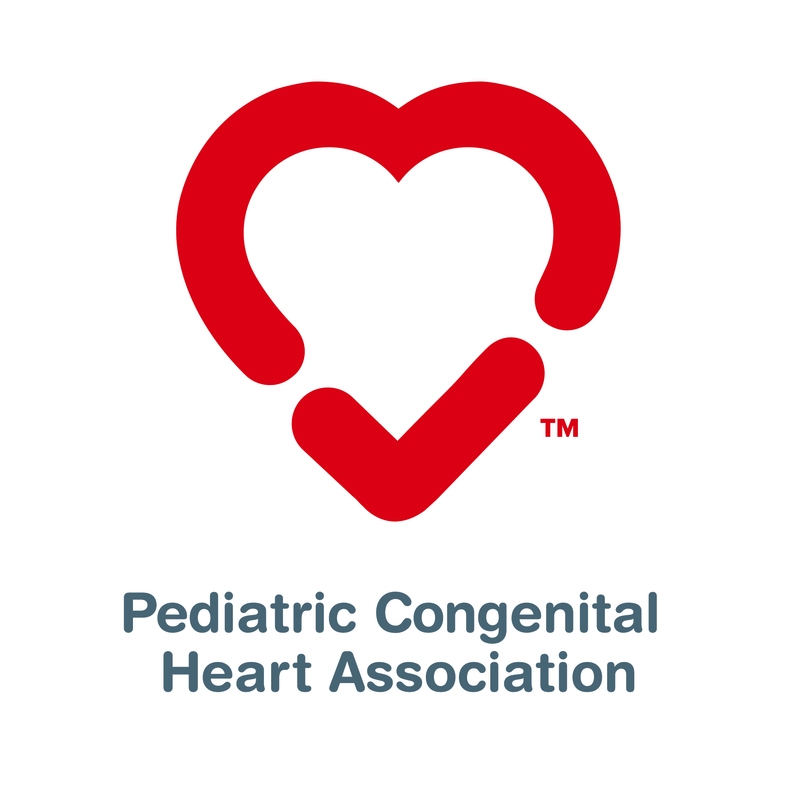 The Pediatric Congenital Heart Association firmly believes that patient-engaged care leads to improved patient experience and outcomes. In this tragic story, one family believes that they did not have the information needed to properly understand the expectations for their child. We encourage patients and providers to work closely together to find a balance between hope and expectations to maximize the experience. While recommendations that follow are the opinion of this family, we do believe they should be included as part of a broader discussion. Our daughter Sadie was diagnosed with Tetralogy of Fallot (TOF) in July of 2014 shortly after our 20 week ultrasound. We were not only shocked and terrified, but we also could not find anyone we knew to talk about this with. Congenital heart defects (CHDs) were a mystery to our friends and family. Even our OB had limited information regarding Sadie’s diagnosis. We immediately began researching to find out as much as we could about Sadie’s condition, including potential surgical options, outcomes, potential complications and information regarding quality of life. We quickly learned what most parents with children with CHDs already knew – that this information is not only widely unavailable, but extremely difficult to understand. My husband and I considered our family fortunate to live close to a reputable children’s hospital with a high-ranking pediatric heart center. We also felt lucky that Sadie’s defect was diagnosed early – it would give our doctors several months to prepare us to care for a child with a CHD. We assumed our doctors would empower us with all the information we needed to become an integral part of Sadie’s care team. We now feel those assumptions were incorrect and that we were ill-prepared to effectively care for our daughter. Before Sadie was born we had multiple appointments with Sadie’s care team, including multiple cardiologists and support providers. Every doctor we met with was extremely optimistic regarding prognosis, surgical outcome and quality of life. The two-stage repair was explained as well as long-term outcomes that included decreasing frequency of follow-up appointments with the expectation of a third surgery in her teen years. Over the course of these appointments, our doctors focused on making sure we understood the anatomy and physiology of Sadie’s defect, how she would be cared for in the hospital after she was born, and the specifics of her surgery. Although we were upfront about wanting as much information as possible so that we could be prepared for every scenario; there was little discussion regarding risks, complications or adverse outcomes. We were told with great confidence that Sadie would have an excellent quality of life, equal to or at least extremely close to that of a non-CHD child. However, every step of the way there were unexpected findings. A week before delivery Sadie was diagnosed with pulmonary atresia (a more severe form of TOF). Only after her death were we told that this significantly increased her mortality rate. Then, the evening before her surgery, we were presented with a new surgical strategy that we were hearing about for the first time. We felt we could not effectively take part in the decision making process regarding our daughter’s care when we were being presented with new information on an as needed basis. Putting us at an even bigger disadvantage was the fact that we were trying to understand and process this new information at an extremely emotionally charged time. Shortly after her discharge home, we took Sadie to the ER. She was experiencing several complications from her condition and was admitted back into the cardiac care unit. 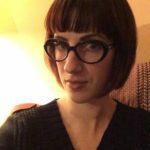 Most of these complications had not been previously discussed with us as possible outcomes yet were quickly dismissed with phrases like “these things sometimes happen” and “this isn’t abnormal to see in a child with her condition.” These responses made us increasingly anxious, fearful and confused. As the disconnect between what we had been prepared for and what was happening grew during this second hospital stay, we increasingly felt that our doctors hadn’t been truthful with us regarding Sadie’s condition, and, in turn, had not realistically prepared us to care for our daughter. We began to question our doctors, Sadie’s future, and our own ability to care for our daughter. 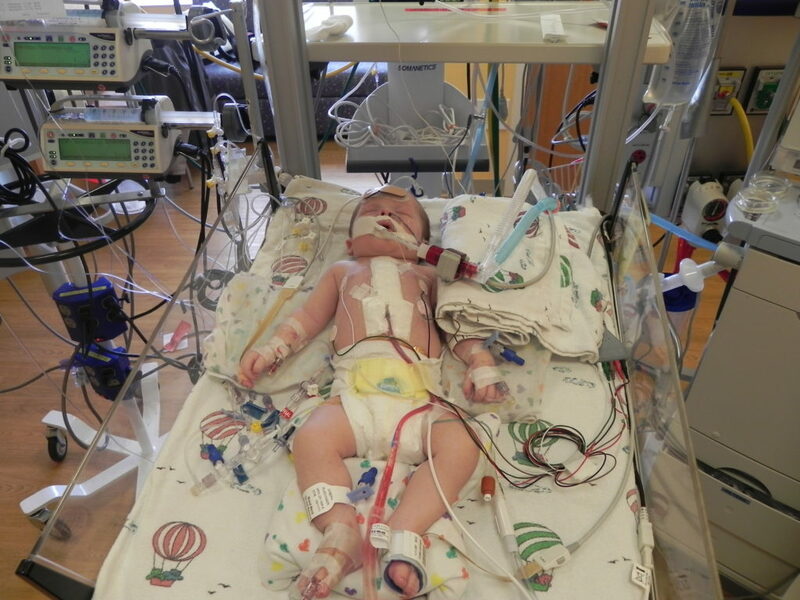 Less than two days after she was discharged, Sadie suddenly stopped breathing at home and died at the nearby hospital. We learned a lot during our 23 days with Sadie. We will never dispute that our doctors only wanted the best possible outcome for our daughter. We are grateful that people with their knowledge and skill exist to give children like Sadie a chance at the best possible life. But there are many areas where our doctors and medical team could have done a better job to ensure Sadie got the best possible care. We depended on our doctors to prepare us for ALL realistic outcomes. Overstating the positives and understating the potential risks and complications robbed us of our ability to make informed decisions regarding our daughter’s care. Perhaps our doctors were trying to protect us by omitting scary and complicated outcomes or to shield an expectant mother of a sick child from what they perceive as unnecessary stress. I don’t know. What I do know is that the lack of information made us feel like helpless bystanders instead of informed parents who were part of a team of people making decisions together in the best interest of a sick child. Our lives will never be the same after experiencing Sadie’s life and death. We can never go back to re-advocate for our daughter and we will never be able to change the outcome. We have spent a lot of time replaying the events of Sadie’s life and death. 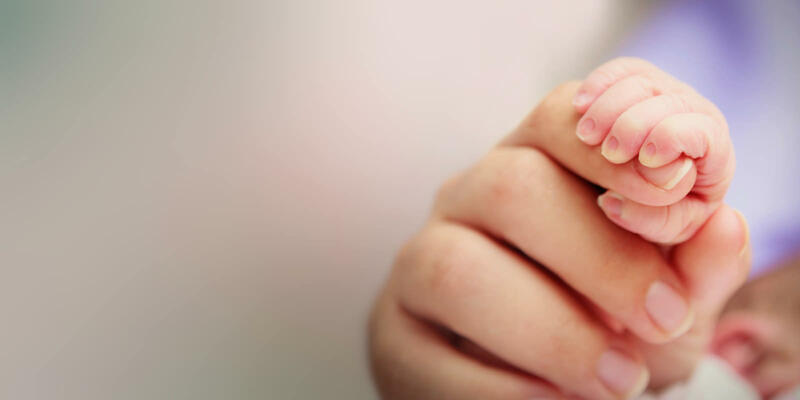 In doing so, we have been able to identify several things that we wish our doctors had considered, as we would have been better prepared to care and advocate for our daughter. Timing of information sharing. Parents deserve as much information as possible as soon as possible for several reasons. Start building trust between doctors and parents through honesty and transparency. Providing comprehensive information early and often allows families to absorb different information over time as stress levels go up and down. Parents need the full spectrum of information to be able to plan and prepare to care for a child with a CHD. Hospital outcome data that includes number of patients, surgical cases, and both surgical and long-term mortality rates. Benefits, risks and recovery (in and out of the hospital) for each planned surgery, as well as unplanned but possible alternate surgeries. Additional treatment approaches necessary including common medications and their side effects. Potential complications that children with this defect may experience. Long-term outcomes and challenges children with this defect may face such as physical or neurological challenges. The full spectrum of what caring for a child with this defect looks like, not only during the hospital stay, but at home and on a long-term basis. How to effectively communicate information. Given the complexity of the information, how it is communicated is just as important as when and what. The more resources and open lines of communication that parents have, the more supported and connected they will feel. Find the balance between benefit and risk, between optimism that all will go according to plan and concern regarding complications that may arise. Use multiple modalities – verbal, video, images and writing. A written reference can be very helpful and could eliminate miscommunication and provide clarification for parents. If possible, it would be helpful for medical teams to assign one point of contact to make sure all the agreed-upon standard information has been communicated to parents, especially when one specific doctor is not assigned. At the very least, doctors should let parents know who to follow up with and how to reach them should they have questions or concerns at any time. We wanted, expected and deserved to be presented with all the information needed to be able to advocate for our child. Many complications and outcomes may be out of the doctor’s control, but providing parents with ALL the relevant information at the earliest possible time is well within it. As CHD is a lifelong condition, an important aspect of transparency is knowledge of a complete medical history. PCHA welcomes Meghan Chell, a CHD survivor, who speaks about her recent challenges in finding the right care as an adult CHD patient. If you don’t learn your medical history, you’re doomed to repeat it. Three years ago, my life as a mostly-healthy person fell apart around me. Sure, I was born with coarctation of the aorta and had three surgeries as a child, but for over 20 years I’d been incident free. I rode my bike, did yoga, hiked, swam, basically did whatever I wanted, and every year grew more distant from my congenital condition. I went to my annual visits, and every now and then had to explain the source of my sternotomy scar, but acted as though my struggles with CHD were behind me. Until I was suddenly reminded that they weren’t. I was 33 years old, recently engaged, and working as a wastewater and remediation engineer in Portland. A typical fair-weather cyclist, I started biking to work again once the “frozen mix” of winter turned into the random rains of spring. I was having trouble with uphill stretches of my commute but simply wrote it off as loss of stamina due to winter laziness. When I had an offer of interesting but strenuous field work at a remote mining site, I scheduled my annual visit to get my cardiologist’s seal of approval before committing. It started off as a typical visit: an echocardiogram to be followed by an appointment with my cardiologist. He’d overseen my care since I was in recovery from my last coarctation repair in 1992. We had discussed transferring my care to another doctor, but decided that it was best to stay with the doctor who was most familiar with my case. He was in California where my family had moved right after my heart surgery, so I used the travel as a chance to see friends and family in the area. I knew something was wrong before the echo was halfway through. The technician was warm and gregarious, so the two of us typically gab throughout the test. But at some point he became quiet and focused. I waited for an hour while my doctor was reportedly reviewing my files before I finally learned what happened. My 21-year old coarctation repair, an ascending to descending aortic conduit, had clotted and was no longer providing a bypass for blood flow to my lower body. This explained my fatigue and headaches with exercise – my lower body had insufficient blood flow, while my upper body was hypertensive. He proposed a quick and easy solution – a stent to widen the narrow portion of my aorta, which could be performed with a catheter, and I could be back to work within a week. First more tests to confirm – an MRI, a fit test, and blood work. Then we’d schedule for the procedure in Southern California. Fast-forward three months. I’ve had all my tests and dealt with the fragmented, back and forth communication with my doctor through his receptionist. Once the diagnosis is finally confirmed, I travel to Los Angeles for the cath procedure. While in recovery and barely conscious, the surgeon then tells me that they didn’t place the stent. Why? Apparently there was no need! My aorta was only slightly narrowed and shouldn’t cause a restriction. So the aorta wasn’t the problem! I protest as much as I can – the tests, the conduit being clotted, my symptoms. He shows me a grainy photo from the cath procedure and points to measurements that I can’t see through the fog of anesthesia. He says we’ll discuss this further when I’m more awake, but he doesn’t reappear that day. Eight hours later I’m driven to my father’s house, where I promptly have a good cry and fall asleep. When I got home to Portland, I put my recovery time and mounting frustrating to good use, investigating local cardiologists for more engaged care. I found a clinic at Oregon Health and Science University, a mere 3 miles away, which had multiple adult congenital specialists. I also requested records from my California cardiologist to familiarize myself with the details of my 30-year medical history, many of which I only barely recollect. When they arrived, I was shocked to find that there were only records through 2008. I realized that when my doctor was supposedly reviewing my files, he was in actuality probably trying to locate the other 16 years of them! I also learned that my coarctation is mainly due to a hypoplastic, inflexible portion aorta, presumably due to scarring from my original repairs in 1984. Though it looks fairly normal at rest, it doesn’t expand as it should during exercise. Had my doctor known my medical history, he would have known that a stent was not a viable option and never would have given me the false hope of a quick and easy fix. In retrospect, though I do hold my doctor accountable for being unfamiliar with my history when he recommended this unsuccessful procedure, I realized I needed to be a better patient. I had lived in a dream world for over two decades, and hadn’t kept up to date with my care or what was best for my condition. Had I been seeing an adult specialist, they would have been monitoring for this failure, and could have prolonged the usefulness of my conduit. It’s a heavy weight to bear, but we survivors and family members of congenital heart disease need to remember that we have to be the most knowledgeable about our specific conditions and cases. As such, we need to always be active members in our treatment which sometimes means questioning an easy solution when we know it isn’t the right one. Meghann is a congenital heart disease survivor, born with coarctation of the aorta and a bicuspid aortic valve. She lives in Portland, Oregon and works as an environmental engineer. 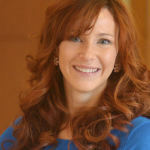 Her focus in CHD activism includes patient engagement, transparency, and medical records availability. The Guided Questions tool was designed to help parents promote discussion with their cardiac care team. At the Pediatric Congenital Heart Association (PCHA), we believe that information is important when making decisions about the care of your child. The tool is broken into three key aspects of care: quality data, patient experience and looking ahead. Esther Kinney shares her own experience using the Guided Questions during pregnancy, after her daughter was diagnosed with CHD. How did you learn about the Guided Questions tool? I learned about the Guided Questions tool during my first telephone conversation with Amy Basken, co-founder of PCHA. I was a desperate emotional wreck. I still remember the relief I felt when she described the pamphlet. Why did you decide to use the tool? 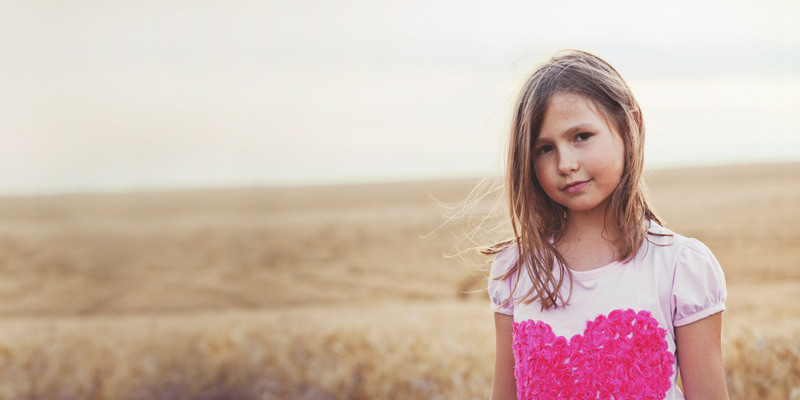 After learning of my daughter’s heart condition, I felt completely lost and overwhelmed. My world was rocked to find out that my daughter Sophia would need open heart surgery immediately after birth. I knew that I didn’t have the necessary knowledge to manage all of the decisions. I had to ensure she received the best possible care, but wasn’t sure where to start. When Amy mentioned the Guided Questions, I felt as if I was handed a life raft. And it was. It would be one of the most important resources for selecting the best location for my daughter’s care. When using the Guided Questions, did you bring in the actual pamphlet or prepare a list of questions on your own? I printed the brochure and kept it in the front of my “Sophia binder”. I brought the questions with me to the appointments, read them verbatim, and took the time to write down the answers. Which questions were the most helpful to you and why? How many procedures do you perform each year? | How many times have you and your program performed this procedure or ones like it in the last year? Over the last 4 years? | What is the survival rate for this type of procedure at the time of hospital discharge? After one year? | How do your results compare to other centers’ results? The responses I received from facilities differed significantly. I think I had the expectation that this type of specialty care would have similar outcomes no matter which hospital you go to, but I was very wrong. What are the most likely complications or things that can go wrong with this procedure and how often do they happen within one year of this procedure? | Do you share your results with national data programs such as the STS Database or Impact Registry to help improve care? Is this information open to the public? In my experience, there are hospitals that focus on things they are good at and sweep their areas of deficiency under the rug. Unless questions are asked directly and consistently, it is difficult to compare the answers. Did the tool help you discover new questions that you hadn’t thought of? Yes! I was an emotional wreck. I had no idea to ask if there was a dedicated CICU. How did the questions impact your confidence in talking to your care team? It gave me a voice. It empowered me by helping me feel competent. Tell us about the reaction from your doctors when you asked the questions from this tool. One of the providers shrugged off the necessity of such a tool and completely disregarded some of the questions. He told me that I shouldn’t go through life focusing on all the things that could go wrong. He said that any one of us could walk across the street and get killed by a car. I wanted to ask him if he realized we were talking about the health and well-being of my precious child. Another team of providers took each question seriously. They provided thorough answers. They went above and beyond to make me feel as comfortable as possible, while providing a realistic prognosis and expressing genuine concern for the well-being of my daughter. What impact did the tool have in your own knowledge and in your child’s care? As a nurse, I understand basic medical terminology. However, I haven’t worked on a general cardiac unit, and neonatal open heart surgery is even more complex. This tool gave me the correct language to use. It identified the expectations that were appropriate. For example, it is okay to expect that the hospital has a dedicated CICU, with specialized CICU nurses. It is okay to expect that hospitals are transparent with their statistical outcomes. It is always okay to seek a second opinion. As a mother, I often second-guess many of the parenting decisions I make. Using that tool and going to the hospital that respected my need for information are two decisions I have never regretted. Would you tell others to use these questions and why? Yes! I share this brochure all the time. I will always be a heart mom. Amy will always be a heart mom. She handed me a gift when she told me about these questions. I want to pay it forward and pass that gift along as often as I can. In July, PCHA is highlighting the need for transparency. Our goal is to inform, educate, and empower patients and families to actively participate in data-driven shared-decision making. Julie Slicker, a member of the PCHA Medical Advisory Board and lead on the Guided Questions Tool, speaks about the importance of transparency from a provider’s perspective. “We didn’t know until after our child was born,” “How could we predict what to ask the doctors? We had to just blindly trust in their skills,” “We were so afraid that we felt paralyzed and we didn’t know how to ask the right questions.” These are the parental anxieties that we, as providers, hope to have the power to impact. And today, with the effort of PCHA and their new Guided Questions Tool (GQT), maybe we can. But first, a story. I will never forget the first time I had the privilege of caring for a child with congenital heart disease (CHD). It was 10 years ago, and the honor I felt being able to care for that child’s nutritional needs has never left me. As a Registered Dietitian (RD), I have had the opportunity to meet with countless other families since then. That said, every provider has a memory of one child that pulls at their heart strings. 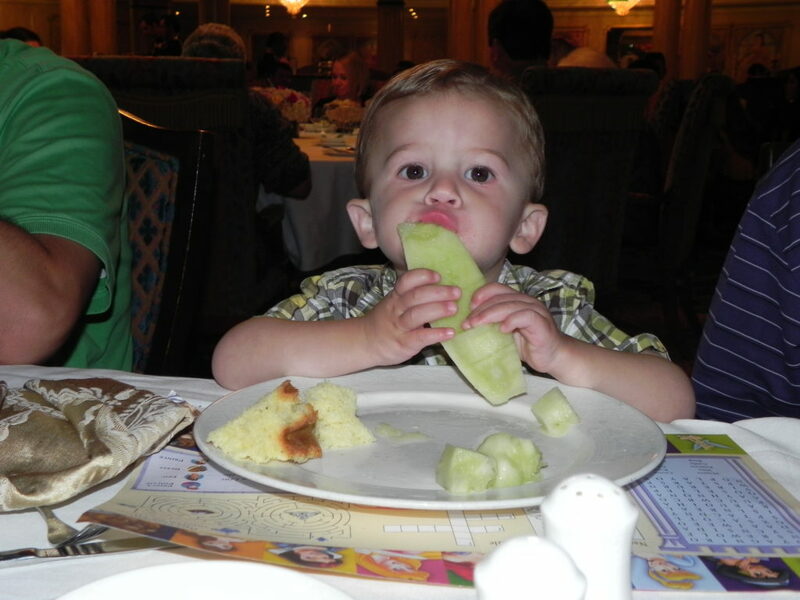 He was a tiny infant named Joe, with a family that had no idea they were having a child with CHD and whose unexpected rush to the hospital changed their life forever. Joe’s tiny little round head, his blue lips and fingers, the fear and anxiety his family had to face, the multiple hospital admissions and the surgical interventions he had to endure will remain with me forever. I have heard so many stories over the years that started out the same way: A time that is supposed to be filled with joy and excitement quickly turned to one of stress, anxiety, and a feeling of being overwhelmed and powerless. I wanted to help to heal Joe and take away the pain and worry of his parents. I wanted to make a difference. Together with PCHA, I feel that we’ve discovered a way to make that difference. A Guided Questions Tool (GQT) was created to facilitate relationship building and transparency between patients, families and their providers when discussing surgical interventions for infants. This tool is designed to result in data driven answers that promote discussion, leading to the balance between accurate information and reassurance. The first phase of this effort included the development of a list of “Suggested Questions” that parents could ask their providers. Parents and medical providers joined efforts and vetted the questions to identify those that reflect quality of care and outcomes. The questions were sorted into categories to address center outcome data, hospital experience and long-term outcomes. The questions were further edited by a multi-disciplinary team of providers and parents to ensure that they would meet health literacy goals and result in a transparent discussion between parents and providers. From this effort, the first true iteration of the GQT was born. The next step is to test the GQT’s efficacy in practice. We have gathered a multidisciplinary team comprised of four CHD centers from all over the country to validate this tool via surveys for both providers and parents. We plan to initiate this phase next month. The mere existence of PCHA, and the GQT that they have helped develop, speaks volumes about where we have come from as a discipline practicing in CHD. A nurse scientist colleague of mine who has dedicated her life’s work to improving the quality of life and developmental outcomes of children with CHD once showed me an old tattered notebook that forever changed my perspective on CHD. In this notebook she showed me the meticulous handwriting of one dedicated surgeon’s log of procedures from the 1980’s. This notebook held a list of patients with Hypoplastic Left Heart Syndrome (HLHS), one of the most severe forms of CHD. Written in front of the first 12 names was a capital letter D, denoting the passing of every single one of those infants. The nurse scientist explained the struggles in the early years of the Norwood procedure. Twelve names. Twelve families. Twelve tiny little infants with so much hope … and ultimately twelve deaths due to complications from this poorly understood physiological nightmare. Then miraculously, after twelve failures, there was a name in the book that stood alone; there was not a letter D written next to it. The thirteenth child lived. And is still living today. This story makes me remember why sometimes failure is a greater lesson than success. It is often said that it is much worse to never try at all than to suffer repeated failure. I cannot imagine the perseverance this cardiac team maintained as they pushed through so much devastating failure. However, it is due to those families and the trust they placed in the medical team that the surgeons learned what they needed to. Yes, these early families lost their infants and have experienced unimaginable pain, but I can only hope they gained solace in the fact that their infant’s death led to the life of thousands more. They changed the course of cardiac surgical history. Today our facility, Children’s Hospital of Wisconsin, proudly touts that greater than 90% of these patients survive surgery to go home with their families. In the 1980’s these babies did not make it through their first months of life, and today our expectation is that most will grow into adulthood. So, keeping this story in mind, here we stand. We can now save the lives of thousands of individuals with CHD all over the country. Cardiac programs have been built surrounding the ideals of survival and excellent outcomes, but as far as most of us working with CHD families are concerned, it is still not enough. Survival rates are high, we have surpassed that hurdle, and now we are focusing on improving care even earlier, particularly, during the prenatal period. 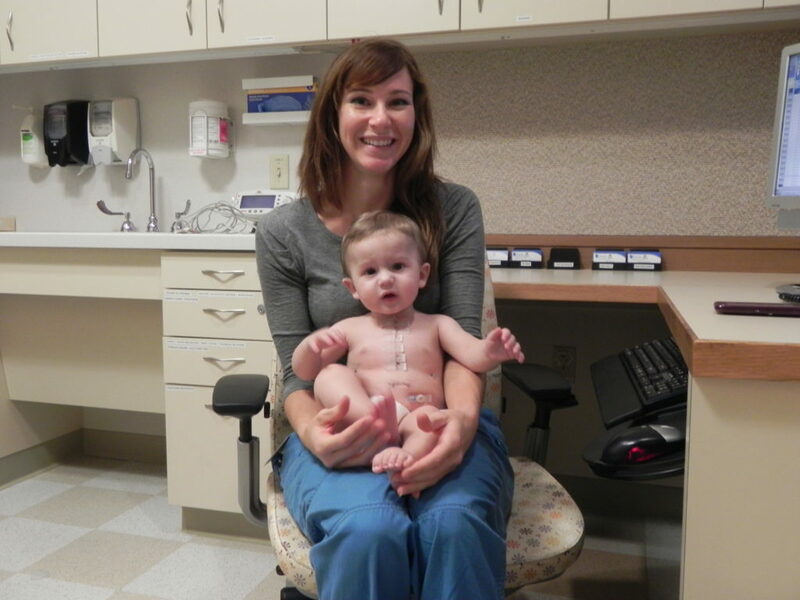 In order to help families navigate the difficult world of congenital heart disease, PCHA, along with other cardiac providers from across the country, have implemented the GQT for this exact reason. This tool elicits discussions among providers and families around transparency and quality of care at cardiac centers. Joe’s family, like countless others, experienced extreme stress, confusion, and anxiety. They had to blindly trust their local CHD program. Our goal with the GQT is to give families a guide to discuss important topics with their fetal cardiologists before their baby is even born. This tool offers a list of questions that inquire about outcomes at each cardiac center, as well as what parents can expect during their hospital stay. Additionally, the GQT prompts parents to ask about what the expected long term results are for their child’s particular lesion. The GQT also focuses on the type and number of procedures children may undergo, the survival rate for their diagnosis, and the type of training and experience that the providers have. This tool will empower parents to ask the right questions, and will prompt providers to anticipate these questions and become knowledgeable about the answers. Utilizing this tool will allow transparency to take place, trust to be built, and knowledge to be gained. Providers and parents alike push aside their fears and try to maintain hope that each child with CHD will have a positive outcome and achieve the quality of life deserved. It is because of this passion that I believe the field has progressed so far in the last 30 years. As PCHA and four other sites across the country embark on this small initiative to test and validate the GQT, I cannot help but think about the particular surgeon and his team in that notebook, and how they truly changed the world of CHD forever. This tool may be a drop in the bucket in comparison, but we aim to continue raising the bar for families with CHD to help support and empower them as much as we can. It is truly an honor and a privilege for all of us that work with CHD families to help change the world – one CHD family at a time. Julie Slicker is currently the Quality, Outcomes and Research Manager of the Herma Heart Center at Children’s Hospital of Milwaukee in the Division of Cardiology. Julie has been at Children’s Hospital of Wisconsin since June 2006. 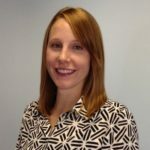 Pediatric nutrition for infants with complex congenital heart disease is Julie’s passion, and since 2006 she has dedicated her time to caring for the nutrition of this patient population. In conjunction with patient care, Julie’s research focuses on hypoplastic left heart syndrome (HLHS) and single ventricle physiology. She pursued her Master’s Degree at the Medical College of Wisconsin in Clinical Translational Science and graduated in 2013. She is currently pursuing a degree as a nurse practitioner in order to continue her work in the cardiac ICU, caring for the patients she has come to cherish over her career thus far. Sydney Allen is a Program Coordinator for the Herma Heart Center at the Children’s Hospital of Wisconsin, focusing on quality improvement initiatives. Many of her projects revolve around improving patient outcomes, patient satisfaction, quality of life, and optimizing clinical process flow. 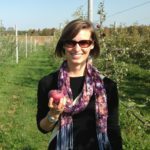 She obtained her Master’s in Public Health Nutrition in 2014 and when she’s not busy working on healthcare quality improvement, she enjoys recipe testing in her kitchen to find simple, delicious, and nutritious plant-based meals to share with her friends and family. FOR IMMEDIATE RELEASE – Madison, WI. (July 11, 2016). 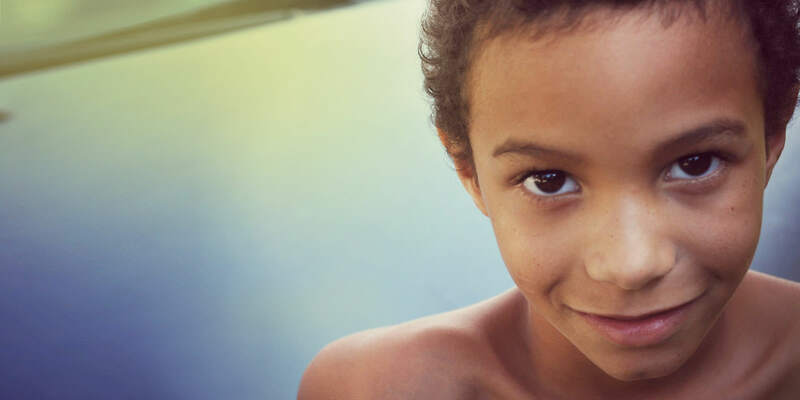 The Pediatric Congenital Heart Association (PCHA) today announced a partnership with RapidSOS, an advanced emergency technology start-up revolutionizing personal safety and family connectivity. The partnership will offer access to the RapidSOS Haven app at a reduced price, providing individuals with enhanced access to emergency services. Haven sends important data to 9-1-1 to aid in fast emergency response and better situational awareness for first responders. When setting up the app, users conveniently enter all medical conditions, allergies, and medications, so that if an emergency occurs, life-saving information is communicated directly to 9-1-1. Additionally, after an alert has been triggered, Haven notifies emergency contacts, so that family and friends are informed. The Haven app also includes access to RapidSOS’ Family Connect feature. For the first time, people can call 9-1-1 on behalf of a loved one, transmitting their loved one’s location and relevant data directly to the dispatch center closest to them. Additionally, Family Connect allows users to share their location with loved ones, see family members’ real-time locations without the distraction of a phone call or text, and easily ask family and friends for help. A user can choose who can see their location and when it is shared, ensuring privacy and control. RapidSOS is offering Haven at a 20% discount to those associated with PCHA when they sign up here. The Haven app is available for iPhone and Android devices and works anywhere across the contiguous U.S. and Hawaii, with one touch emergency calling in over 250 countries and jurisdictional territories. For more information about RapidSOS and the Haven app, visit www.rapidsos.com. 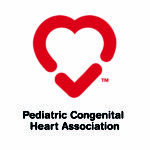 The mission of Pediatric Congenital Heart Association (PCHA) is to “Conquer Congenital Heart Disease (CHD)”. PCHA was founded on the key purpose to be the resounding voice of the pediatric patient population and are accomplishing this through collaboration with patients, parents, providers, and partner organizations. PCHA is improving quality and outcomes through CHD education, research and awareness, all while reducing the impact of congenital heart disease while striving to realize a world free from it. PCHA is excited to partner with Rapid SOS and their Haven mobile app, to help keep you and your loved ones safe. With the press of a button you can contact emergency services, share key information about location and medical history, and alert your emergency contacts. Perfect for families of children or adults with congenital heart disease. As part of our partnership, we are able to extend a special offer for 20% off they already low subscription rates, including plans for less than $20/year. A: RapidSOS is an emergency technology company founded by graduates of M.I.T., Harvard, and Stanford, all of whom had personal experiences with the challenges of our country’s aging 9-1-1 infrastructure. RapidSOS’ technology platform provides improved access to 9-1-1 and emergency services, as well as other features that improve mobile security and family connectivity. A: Haven is a smartphone app developed by RapidSOS that allows users to call 9-1-1 more effectively. Calls from the Haven app are routed directly into the correct 9-1-1 Public Safety Answering Point (PSAP). This is a significant improvement over the current situation, in which wireless calls are routed based on cell tower or routed to a dedicated wireless 9-1-1 center affiliated with the Highway Patrol or State Police and then transferred. Instead of just delivering basic cell tower information like a wireless 9-1-1 call, Haven sends more precise and comprehensive information to 9-1-1. With one touch, Haven places a 9-1-1 call and transmits vital information to the dispatcher, including type of emergency, precise user location based on a variety of sensors on the smartphone, relevant medical and demographic information. The app makes it possible to send text messages to 9-1-1 and communicate when it’s difficult or dangerous to speak. Through better data, Haven improves the situational awareness of call takers and dispatchers, so that they can make more informed dispatching decisions to send appropriate responders, providing more comprehensive information about the incident. After a 9-1-1 alert is triggered, the app notifies emergency contacts so that they are informed of the emergency. Haven also includes access to RapidSOS’ Family Connect feature. In addition to the emergency capabilities, Family Connect allows users to share their location with loved ones, see family members’ real-time locations, and easily call 9-1-1 on their behalf. Q: What problem is RapidSOS/Haven solving? A: Over 180 million 9-1-1 calls come from mobile devices annually, all of them providing limited or no location information, and relying solely on the caller’s ability to speak and ability to articulate their location. The 9-1-1 system was originally built for landline phones and isn’t currently equipped to leverage the full capabilities of modern smartphones. RapidSOS makes it possible to send mobile data (location, type of emergency, demographic/medical information) directly to PSAPs to assist first responders in life-saving efforts. Q: Even small children know to call 9-1-1. Will people adapt from such a well-known process? A: Millennials and the generation that follows them are now growing up with reliance on smartphone technology, and have embraced apps for everything from ordering dinner to getting from one place to another. Haven will complement this lifestyle, and its simple user interface means everyone can use it intuitively. Q: Is this a replacement for the existing 9-1-1 system? A: No, RapidSOS does not replace 9-1-1 or compete with 9-1-1. In fact, RapidSOS is working closely with 9-1-1 Public Safety Answering Points (PSAPs) across the nation to make sure that their technology is effectively integrated into the current infrastructure. RapidSOS enables the dispatch centers to receive more information about callers quickly, which can only improve emergency response and care. Q: Will making this transition require an investment of government money for PSAPs? A: RapidSOS’ technology integrates seamlessly with the existing 9-1-1 system. This means no new training, equipment, or cost is required. Q: What makes Haven different from other emergency apps out there? A: RapidSOS spent three years developing an emergency telecommunications platform that allows smartphone devices to route calls to the correct 9-1-1 center and transmit life-saving mobile data. No other app is directly integrated into the 9-1-1 system. Some apps use a third party call center operated by a private company that could slow down response or introduce human error. Other apps require the 9-1-1 center to license and install a proprietary software solution at a prohibitive cost to government agencies. In general, these apps do not have broad adoption or support from the 9-1-1 community because they are either ineffective, or very expensive without providing pertinent real-time data in an emergency. Q: Does RapidSOS share/sell personal data that users entered into the app or user portal? A: The information input in the user portal or the app is only shared with 9-1-1 dispatchers and only when a user has initiated a 9-1-1 call. Q: Will Haven work if there is no cell coverage? A: Haven works over cellular data or WiFi data, as opposed to a traditional wireless 9-1-1 call that only works over a cellular connection. RapidSOS intelligently manages the connection and always uses the most robust communication channel possible. If there is no WiFi or data, the app initiates a native 9-1-1 dial through the wireless carrier, so that the caller can always reach 9-1-1 under any circumstances. Q: The app allows users to text 9-1-1. How does this work? A: Currently only 6% of PSAPs in the nation have deployed technology that allows anyone to send a text message to 9-1-1. Haven enables all users to send information to 9-1-1 via text message, regardless of the PSAP’s ability to receive texts. Haven will speak the text to the dispatcher (text-to-speech) and the dispatcher can respond or ask follow-up questions verbally. Q: What’s the cost for the app? And how will lower income families afford it? A: RapidSOS is committed to making the app available to anyone who needs it through the Safer Together Movement (with no questions asked, any user can have the service for free). For those who can afford it, Haven is available from the App Store or Google Play store with a 30-90 day free period. After the free period, individual plans are $2.99/month or $29.99/year while family plans are $4.99/month or $49.99/year. Family plans enable a user to add family members at no additional charge. Q: What happens after the free period is over or if users do not pay for the subscription? A: RapidSOS will contact the users and ask if they want to continue using the app with a paid subscription. Those who cannot afford the plan at the time can sign up to receive the plan for free as part of the Safer Together Movement. 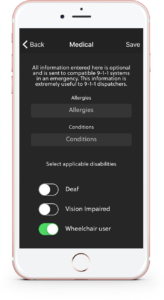 If a user does not have a valid subscription (during free period or paid subscription), the app will direct the user to their native dialer to call 9-1-1. Q: If I have trouble using the app, or have suggestions or questions, how do I get help? A: RapidSOS has several instructional videos on their YouTube channel that show you how to use the app. You can submit any feedback or suggestions within the Haven app by selecting “Support and FAQ” from the menu, then tapping “Feedback.” Additionally, you can log in to your account at RapidSOS.com to submit your suggestions, feedback, or questions within the Support Center. You can also search the knowledge base of frequently asked questions in the Support Center.